It’s Road Safety Week this week - 21-27 November - and Brake has launched its annual awareness campaign to cut the number of deaths on Britain’s roads. According to Department for Transport figures, there were 186,000 reported casualties and 1732 deaths on Britain’s roads in 2015. However, while reported road deaths are 45 per cent down on a decade ago, road safety charity Brake believes more can be done to reduce the number of fatalities and injuries. During Road Safety Week, Brake is calling on drivers to Make the Pledge by belting up, slowing down and resisting the urge to use their mobile phone when at the wheel. The nationwide campaign, which is sponsored by Specsavers, is also calling on drivers to have regular eye tests and improve urban air quality by driving less. Motorists can sign up for the six elements of Make the Pledge - slow, Sober, Secure, Silent, Sharp and Sustainable - by visiting Brake’s website. Drivers can also register to be part of Road Safety Week 2016 and get a free electronic action pack. "According to Brake, one in 10 drivers/motorcycle riders killed in a crash had alcohol present in their body, even though they weren’t actually over the legal blood-alcohol limit"
Spurious statistics like this don't help. What are the percentages for drivers NOT killed or those not involved in accidents who were driving in similar circumstances, i.e. the same roads, time of day, etcetera. If you don't know these figures you don't know if alcohol at these levels contributes to accidents or not - perhaps twice as many drivers who don't have accidents have alcohol in their bodies, or maybe it makes no difference at all? Yes it's sad that 1732deaths occurred on our roads but how many were actually the result of excessive speed? Also, if Brake really want to reduce the number of deaths on our roads, why don't they campaign to rid our roads of diesel cars? - vehicle pollution in London alone apparently contributed to more than 8000 deaths in a year according to latest statistics, much of it due to particulate and NO2 emissions. 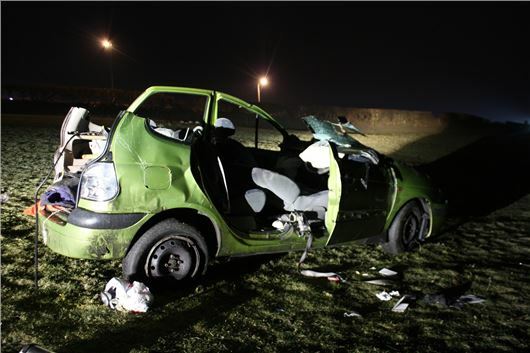 "Drink driving is still one of the biggest killers on our roads. In 2014, 13% of all road deaths in Great Britain resulted from crashes where the driver was over the drink-drive limit. A further estimated 25 road deaths per year are caused by drivers who are under the drink-drive limit, but who have significant amounts of alcohol in their blood." The implication is obvious - they believe that every one of the accidents, injuries and deaths that had a drink-driver involved, and many of those where the driver was below the limit, was solely due to the alcohol factor. I am vigorously opposed to drink-driving, but this is clearly nonsense. They are effectively saying that if all of these traffic situations had occurred but all the drivers had been sober then none of the collisions would have taken place. Making the knee-jerk "drink was totally responsible" reaction means that the true causes or preventative measures will not be found except in those cases where excessive drinking and consequent inability to cope was the principal reason.